NEW DELHI: Adhering to Asian Football Confederation (AFC) regulations, liquor baron Vijay Mallya has resigned as the director of the Mohun Bagan football club but remains the chairman of East Bengal. 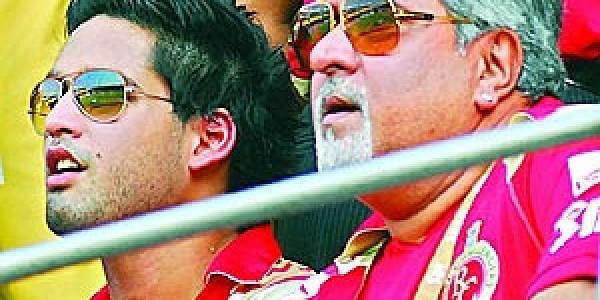 Mallya's decision to quit was taken at Mohun Bagan's Dec 16 board meeting in Kolkata. Prince Rufus, operations manager of Mohun Bagan, said in a statement that Siddharth Mallya has been appointed as an additional director of the club. &quot;Vijay Mallya has resigned from his post as a Director and the Chairman of the Board of Directors of United Mohun Bagan Football Team Pvt. Ltd. His resignation has been accepted with deep regret by the Board of Directors of the Company in a meeting held on 16th December 2010 at Kolkata,&quot; the statement said. An All India Football Federation (AIFF) official said that Mallya had to resign as he was heading both Mohun Bagan and East Bengal and AFC was against &quot;cross-ownership&quot; of clubs in a professional league. &quot;According to AFC club licensing criteria, which has to be implemented before the end of the 2010-11 season, no individual or a company can own 50 percent or more stakes in more than one club at a time. So Mallya's resignation was very much on the cards from one of the clubs,&quot; the official said. Although Mohun Bagan and East Bengal are sponsored by different brands - McDowell and Kingfisher - they belong to the same company, United Breweries Group, owned by Mallya. The AFC, at a meeting with AIFF here in September, had set Dec 24 as the deadline to sort out the &quot;cross-ownership' issue. AIFF president Praful Patel had said that clubs that don't fulfil all the criteria by Dec 31 would not be allowed to play in the I-League.